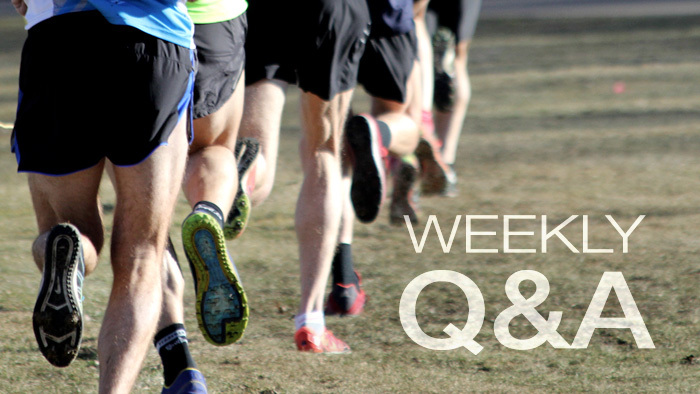 What do you recommend for someone who starts your 12-week half marathon training program six weeks too early? Do I start over once I'm 12 weeks out, or continue on as planned, finish the 12-week program, and then repeat the last handful of weeks leading up to the race? You could do either. One option would be to double down on the first half dozen weeks. In other words, do Week 1 twice, then Week 2 twice (in what would have been the third and fourth weeks) and so forth. The advantage of starting those six weeks early is that it allows you a gentler ramp for your mileage build-up. The disadvantage is that with your race so far away, you may have a hard time focusing on it. Doing the same workouts week after week may get boring after a while. Then again, maybe not. Since you apparently already are into your half marathon training program, I would not go backwards. If you had asked me which program to choose 18 weeks out, I might have suggested that you pick a short-distance program (5-K or 10-K) for the first 6 to 8 weeks, then switch. Notice I said, “might have.” I think you’re on track for a very successful half marathon race.